WASHINGTON (AP) — Secretary of State Mike Pompeo unloaded Friday on his Obama-era predecessor John Kerry for ‘‘actively undermining’’ U.S. policy on Iran by meeting several times recently with the Iranian foreign minister, who was his main interlocutor in the Iran nuclear deal negotiations. Pompeo said he would leave ‘‘legal determinations to others’’ but slammed Kerry as a former secretary of state for engaging with ‘‘the world’s largest state-sponsor of terror’’ and telling Iran to ‘‘wait out this administration.’’ He noted that just this week Iranian-backed militias had fired rockets at U.S. diplomatic compounds in Iraq. Kerry, who is promoting his new book ‘‘Every Day is Extra,’’ had no immediate response Friday to Trump’s latest Twitter broadside. In the past, he’s been harshly critical of the president and his decision in May to withdraw from the Iran deal. 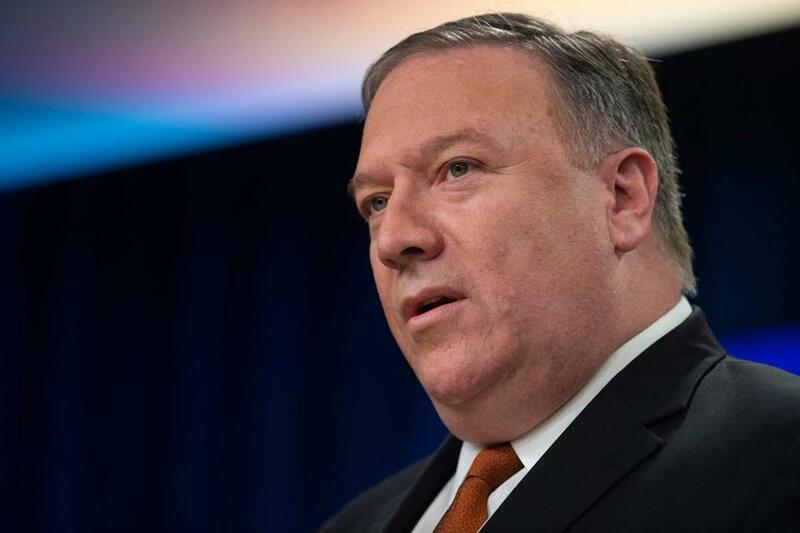 ‘‘I wasn’t in the meeting, but I am reasonably confident that he was not there in support of U.S. policy with respect to the Islamic Republic of Iran,’’ Pompeo said. Such meetings, between a private U.S. citizen and foreign official, are not against the law and not necessarily inappropriate or a violation of federal regulations, but Trump, Pompeo and several GOP lawmakers say they are evidence Kerry and former Obama administration officials are trying to subvert Trump’s hard line on Iran.